After winning the program’s first state championship in 25 years last season, Haddonfield has turned the page to focus on having another successful season in 2017. Last November, Haddonfield Memorial High School field hockey won its first state championship since 1991. However, the team’s 2016 success took a back seat once practice opened on Aug. 14. The first day of practice, head coach Lindsay Kocher told her team it was time to focus on the new season and work toward more success in 2017. The good news for Haddonfield is a number of key players from last year’s championship team are back to lead the Bulldawgs in 2017. Seniors such as Jaimie McCormick and Sophie Popp are expected to play big roles as Haddonfield tries to defend its title. McCormick recognizes she will have to play a bigger role during her senior season. After scoring 10 goals and tallying five assists in 2016, McCormick knows she’ll be relied on for more than just what shows up on the scoresheet this season. Kocher believes the team will also get some contributions from a few new players this year. 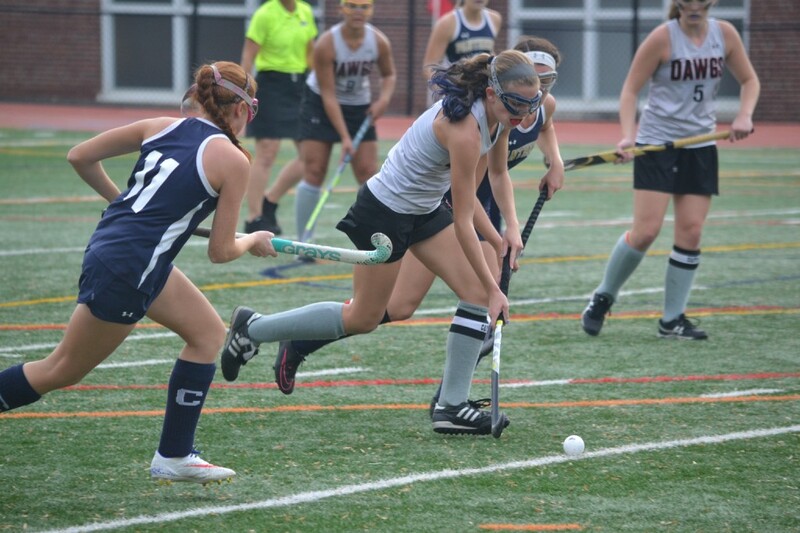 A few freshmen caught her eye in the early days on the preseason, and Kocher believes Haddonfield’s feeder program has played a big role in developing young talent in recent years. “They saw what the program was about and were eager to come in and make a presence themselves,” Kocher said. While the Bulldawgs have turned the page on last year’s championship season, the team recognizes it will need to be ready to play hard in each game. McCormick and Popp said the team realizes it has a huge target on its back as a defending state champion. Kocher’s focus early in the season isn’t on postseason success or even the Bulldawgs’ regular season games later in the season. Her focus is making sure her team improves on a daily basis so the Bulldawgs are playing their best late in the season.